Fiama Suspension Black - 30"
This is truly a modern piece of art. 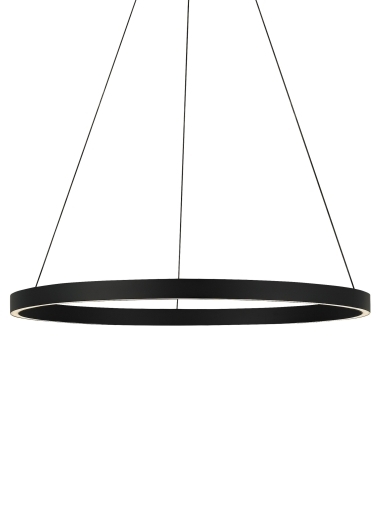 Featuring a slender metal ring which houses gently diffused upward and downward firing LEDs. Top and bottom are non metal, allowing light to pass through. 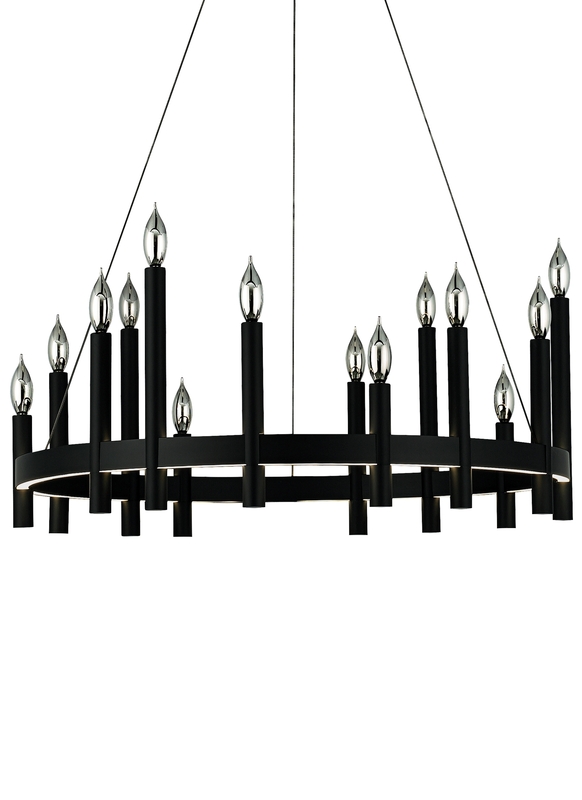 The chandelier comes with three sizes of optional candle accessories to adorn the light fixture. Please see detailed image for look with candles. Item priced without candles. Please add candles separately. Availabe in 24" or 30" diameter. 24" includes 96 watt, 5700 net lumen, 80 CRI 3000K LED. 30" includes 156 watt, 9300 net lumen, 3000K LED. Dimmable with low-voltage electronic dimmer.